About the Author: Malhar, a diligent student from D.Y. 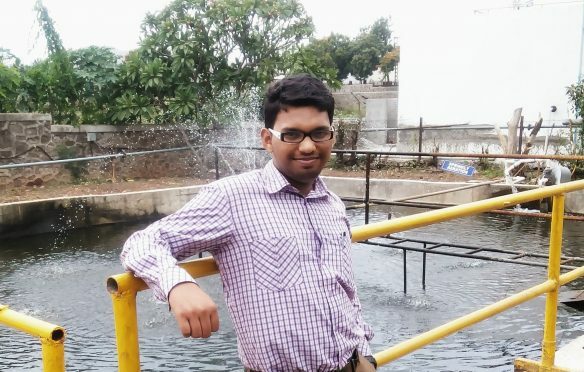 Patil College of Engineering, Pune, takes us through his enriching internship experience at Godrej & Boyce Mfg. Co. Ltd.
An internship is a basic need, at least for the engineering students. By the end of my fifth semester, I got a chance to appear for the intern recruitment process at Godrej & Boyce Mfg Co. Ltd. The five-step selection process came as a surprise to us. Endless multiple choice questions (MCQs) were asked to test our basic intelligence, vocabulary, and math. The last aptitude test was comprised of technical questions on mechanical chain drives, gear drives, shafts etc. In the next round, six topics were provided; we had to select one topic and write a short essay within a time limit of 40 minutes. After a sumptuous lunch at the canteen, it was time to face the personal interview. I was asked questions regarding general engineering topics like quality, automation, mass production etc. The interviewer also inquired about my career goals and aims for life. After around two weeks, my selection was confirmed. My internship began with the 3-day induction program in which we were given a basic idea about the working environment, Kaizen, and TPM practices followed by the company. We also got an ICICI Bank cheque book which will definitely serve as a lifetime memory. After the induction program, I was escorted to the Lawkim Motors Group of Godrej and Boyce Manufacturing Co. Ltd. The company offered me some concrete projects and unforgettable memories. Almost all my theoretical misconceptions about mechanical components were cleared as I worked under the Maintenance Squad of the company. After around two weeks, I started working on a project to recondition a 160-ton Minster-made press machine. We dismantled each and every part of the press machine right from the most exterior decoiler to the most complex interior lubrication panel. Next, we re-machined and assembled all the parts at the right places. During this period, I started interacting with various vendors of the company regarding the re-machining of various parts and started visiting their workshops which was a great real time experience. The basic motive behind this project was to successfully increase the productivity of the machine, which we measured in terms of strokes per minute (spm). The project required four months of rigorous and continuous work. With this, I garnered a practical exposure to the kaizen practices followed by the company. I also got a chance to work on the software of kaizen management system of the Godrej & Boyce Mfg Co Ltd. After the completion of my project, I concentrated on learning from the working of the maintenance department in detail and started observing the various breakdown problems and analyzing the counter measures taken. With this, I completed my six-month internship and returned back to my college life. The internship added great experience to my CV and the engineering course that I’m pursuing. Editor’s Note – Check out these mechanical internships to have an internship experience as enriching as Malhar’s.